I always seem to remember it's National Craft Month by mid-March. (＾ᗨ＾✿) I always want to remember at least in February so I can plan out and do crafts to celebrate the month, but this mind of mine just doesn't work that way. I remembered this year's National Craft Month...today. 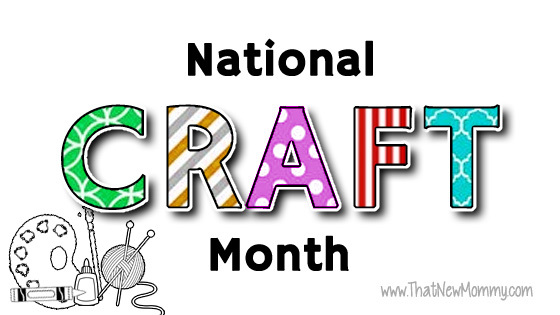 National Craft Month was started back in 1994 by the Craft & Hobby Association. 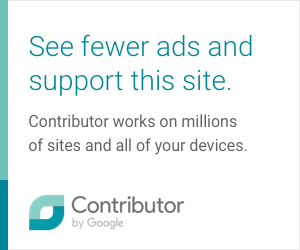 Its purpose was to help people learn about crafting and its benefits. If they already knew about these, then it was meant for these people to re-discover how much fun crafting is. It began being celebrated by a few manufacturers and retailers but, today, National Craft Month is celebrated by millions of people celebrating creativity. There are many stores (online and brick and mortar) and bloggers that celebrate by having sales or giveaways. Others share projects that they are working on to celebrate this awesome event. To celebrate National Craft Month I am going to be sharing with you tutorials I've found as I've been surfing around the internet. These are tutorials I enjoy and think are really cute. Of course, because my king is my life this first one is a craft for your little ones. It is a soda bottle rocket ship brought to you by Craft Test Dummies. How will you be celebrating National Craft Month this year? 0 comments on "National Craft Month"